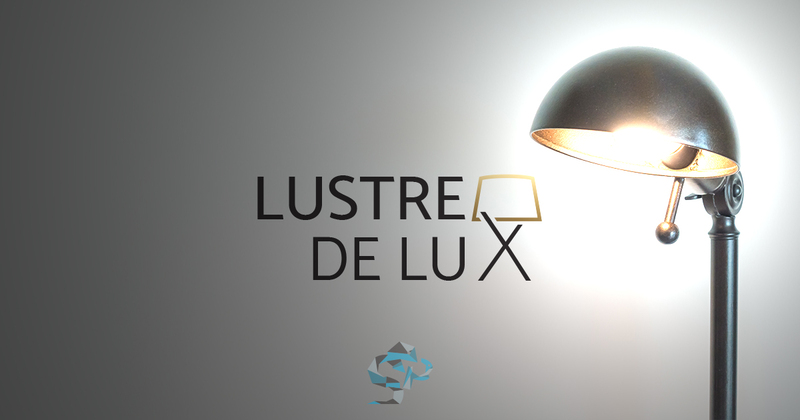 We created for Lustre de lux Romania an eye-catching logo design that stands out and get remembered from the first sight. Our client wanted from us to introduce a lamp graphic to represent his products. We surpassed his expectations, because we managed to keep the luxury yet minimalist look of the brand by integrating the silhouette of a modern Scandinavian inspired lamp. The binding of carefully chosen and edited typography and the black and golden light body, the design properly inspires luxury and quality. The integration of the lamp can be easily used in mediums where the entire logo does not fit. Examples: browser favicon, iOS shortcut icons or home screen icons, watermarks on photos or official documents, in the header of letters and other materials distributed by the company, etc. A minimalist and powerful design logo that incorporates the idea of ​​a light body, embodying the name of the shop at the customer’s request. 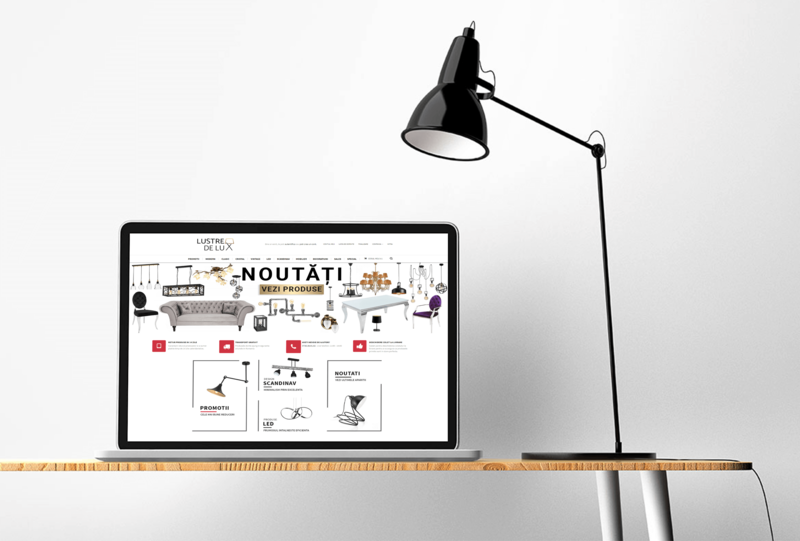 We created for Lustre de lux Romania a mobile ready online store. With custom design and performance optimization, the store meets the company’s needs. We are proud of the details and the support we provide to each project. Lustredelux.com is 100% responsive and validated by Google as ‘Mobile Ready’. In need of a modern logo or a professional website?